Kanellos, the Greek Protest Dog : Wait Wait ... Don't Tell Me! 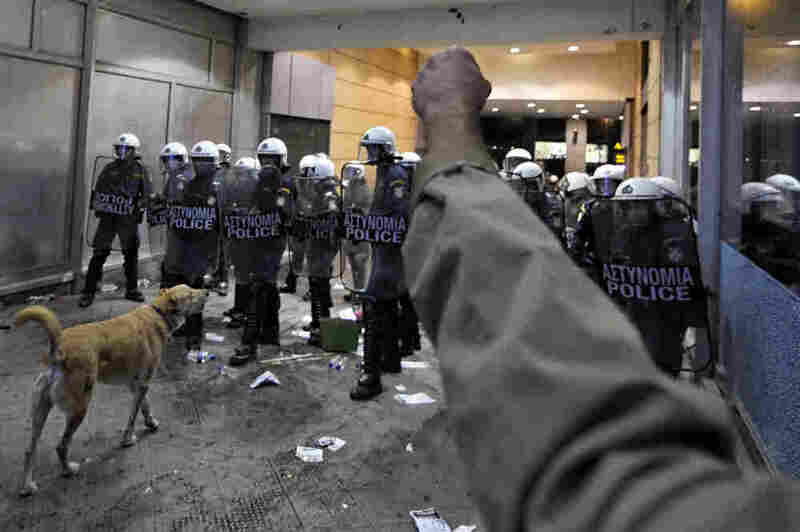 A dog shows up at the protests in Greece. ALL of the protests in Greece. 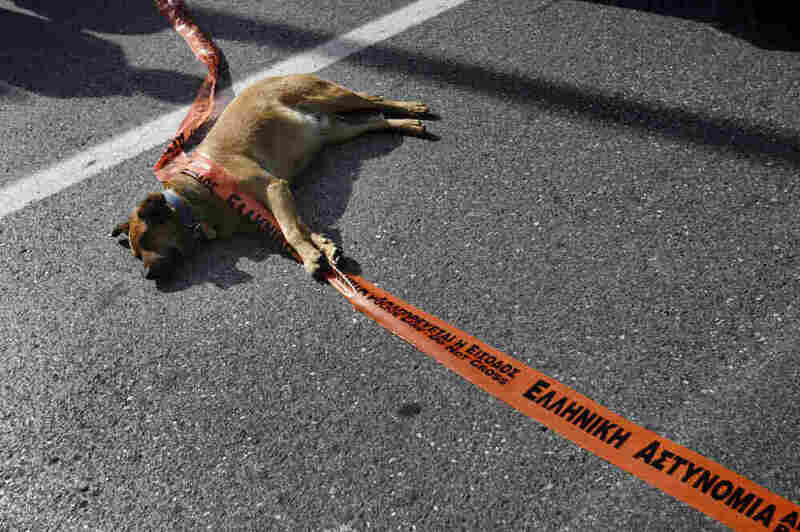 Did you know there's a dog who has shown up at pretty much every protest held in Greece the last couple years? They call him Kanellos the Protest Dog. That's the word from The Guardian, anyway. I think there may be a bunch of lookalike dogs running around, and they just go where the action is. Also, odds are good people leave their sandwiches behind when riot police fire rubber bullets at them. He's cute. Don't know what his pet cause is though. Stay out of my bedroom, Bob Barker? Hump the leg of authority? Did you know every minute, another dog ages seven minutes? Any ideas? What would a dog have to protest?